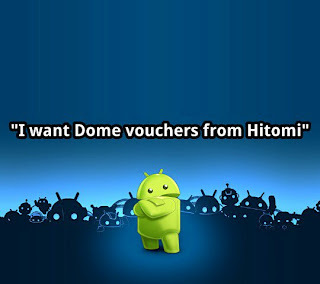 SPECTREOUTREACH.com: "I want Dome Vouchers from HITOMI"
"I want Dome Vouchers from HITOMI"
Congratulation! You have won yourself a Dome voucher from Me! Kindly drop me an email stating your date, time and location for collection at pen5tato@gmail.com.